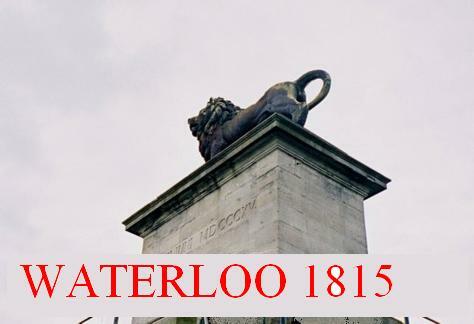 Ponsonby’s part in the Battle of Waterloo is remembered because it highlights some pertinent points about cavalry charging. Ponsonby was in command of the Union Brigade, so-called because it included an English, a Scottish and an Irish regiment. The brigade consisted of the 1st Royal and 6th Inniskilling Regiments of Dragoons in the first line and the 2nd Royal North British Dragoons (Scots Greys) in reserve. It had counter-attacked to great effect against the disorganised French columns of d’Erlon’s I Corps. Carried away by their initial success, however, the brigade failed to rally and continued towards the French positions. The Scots Greys in particular, forgetting their supporting role and ignoring the “recall”, charged on in disordered groups, some of whom reached the French guns on the other side of the valley. By this time their horses were exhausted and a swift retribution followed in the form of a counter-attack by the French lancers. The brigade suffered very heavy losses and played no further part in the battle. Ponsonby, who was mounted on a horse of less value than the best one in his stable, rode too far and with his horse mired in mud close to enemy lines, was set upon by French Lancers. Recognising his rank and worth as a prisoner, the French gestured to him, urging him to surrender. He failed to understand them, and, when a group of his own Union Brigade spotted him and rode to his rescue, the lancers from one of the French line regiments (either the 3rd Lancers or 4th Lancers) attached to d’Erlon’s I Corps had no option but to kill him. 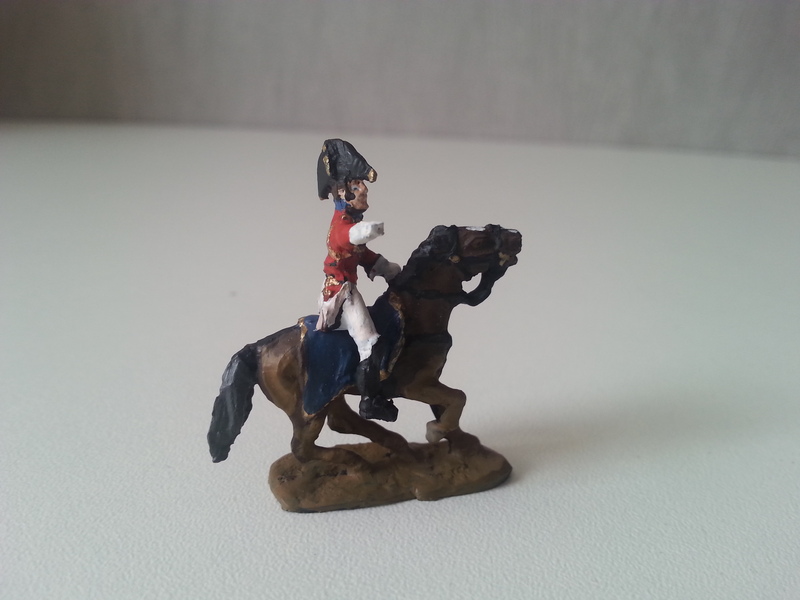 Myths growing up after the battle turned this into a guardsman from the “Red Lancers”, which included the surviving squadron of the Polish lancers of the Guard. 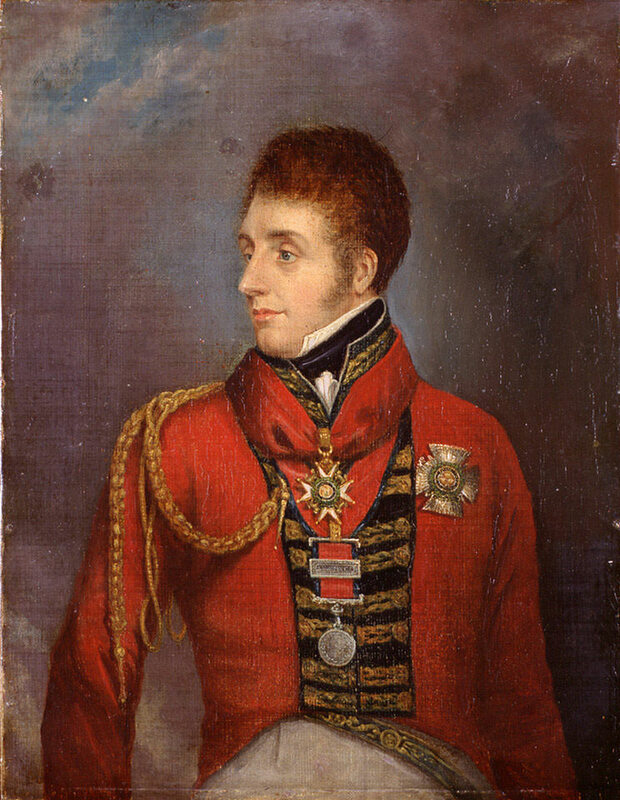 Following Ponsonby’s death, command of the Union Brigade devolved upon Lieutenant-Colonel Arthur Clifton of the 1st Royal Dragoons.